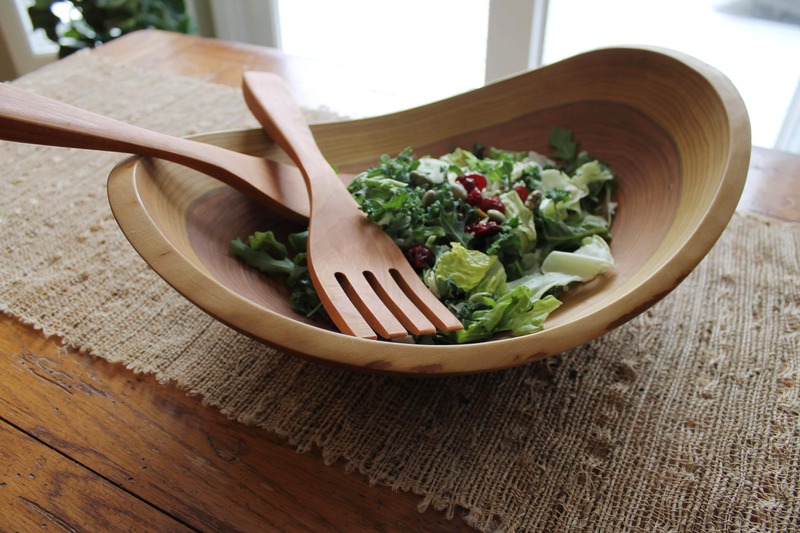 If you have been shopping around the Holland Bowl Mill website for a great addition to your kitchen or looking for a great gift idea, then you already know how unique wooden kitchenware can be. You may not know how special it is, and how different wood is from other materials like glass, plastic or metal. As such, you should know that there are a right way and a wrong way to take care of your wooden kitchenware. Make plans for your purchase regarding size, shape, functionality, and type of wood. Instead of looking at just a single bowl, consider an entire set of bowls, each cut from the same piece of wood. If you are considering a wood bowl as a gift, don’t skip on our free engraving. You could just walk into your local super-store and grab whatever you need off the shelf because the price is low, but the lower price also means lower quality. Those mass-produced utensils, bowls, and boards will wear down quickly, and those pieces of kitchenware may not even be made from food-safe materials. Holland Bowl Mill has a lifetime guarantee on all of our wooden bowls, but it’s up to you to properly care for your bowls and utensils so they may last. By using our Bee’s Oil Wood Preserver, you can ensure that your wooden bowls will look just like they did the day you bought them for years and years. Canola oil, olive oil, and other food-based oils are not the same as natural mineral oils. They will not offer the needed level of protection, and can even harm your bowls and utensils, which will then affect the food you eat. When you are done using your wooden bowl, utensils, or boards, remove all remaining food particles and mildly wash with warm water and a dab of soap. Make sure to dry thoroughly. Otherwise, remaining liquid can be absorbed into the wood and weaken your kitchenware. Dishwasher detergent and high heat will damage the surface of your wood, and the wood is very likely to absorb even more water in the harsh environment. It can lead to warping, cracking and splintering, and you will be left with nothing but a useless chunk of wood. Holland Bowl Mill has perfected its craft and care of wooden kitchenware for decades, and with our lifetime guarantee, we know that you will share our appreciation of our wooden kitchenware for decades more. Visit our showroom at 120 James Street in Holland to see all of our products, or call us at (616) 396-6513 to place your order.